iPhone 8 - cheapest online price from O2 - Only £43 a month - Unlimited minutes and texts with 15GB of data. O2 Pay Monthly customer? Get 20% DISCOUNT off your Airtime Plan, on 2GB and above tariffs. Another perk of being on O2. By downloading the list of O2 Police discount codes from us you can choose the one that identifies your force and land yourself 25% Discount online. Police Discount Offers bring you a selection of O2 mobile phone offers available for you and the family. O2 have provided many great deals of the years and continue with these offers below. They often provide discount, discount codes and vouchers so keep checking back on this O2 Mobile Phone Page for any updated deals! The most recent addition to these offers is the 25% Discount which is available for Police Staff who order online. The discount is applied to your Airtime plan and depending on the contract you purchase you will be allowed up to 25% off. It’s explained in more detail below. 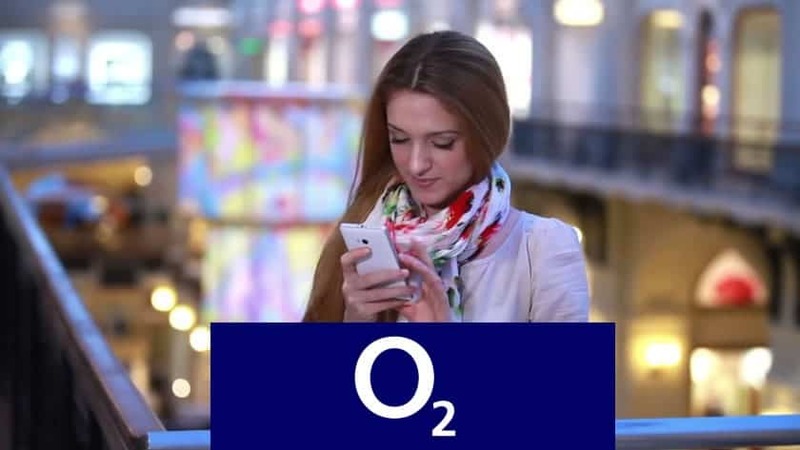 There are loads of other O2 Discounts available through their website. Another good deal that we discovered was their Family Airtime plan which allows your family up to 50% off with one simple bill for all your connections. If you do sign up to the Family Plan with O2 it allows you access to Qustodio Premium, the award-winning parental control app. This simple App has been designed for parents to keep an eye on your child’s device and set rules for your child and get the best our of the device. Looking for the iPhone 8 on O2 and Calculating Police Discount? The iPhone 8 has out for some time now, but is it worth it with o2? We know that O2 Police Discount is 25% off Airtime plans after you purchase the phone online. So lets have a look at an iPhone 8 offer which is available online today. You can use these instructions for any plan. Looking at the above iPhone deal we now calculate the 25% discount into the airtime plan. First you need to calculate the monthly Airtime plan. You do this by taking the total monthly cost and subtracting the device monthly plan. 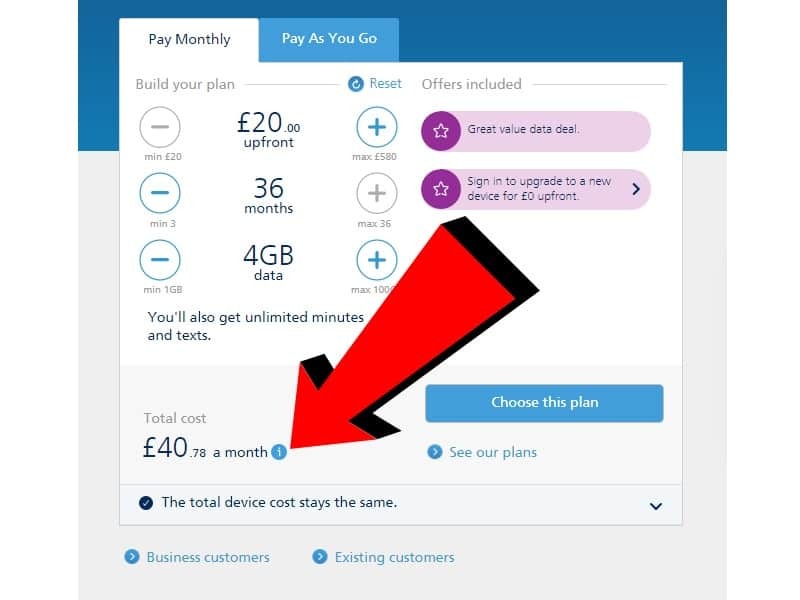 You can find the device monthly plan by clicking on the information icon next to the total cost as indicated by the image below. This provides the information that the device monthly payments is £16.78. Therefore £40.78 – £16.78 provides you with an Airtime plan of £24 a month. You then minus 25% of the £24 which is £6. This allows you then to work out your monthly cost, which is £40 – £6. So for an NEW iPhone 8 with 4GB of Data, playing £20 upfront over 36 months. You pay a total of £34 a month. How to Claim Your Police O2 Discount? You can get up to 25% Discount on your Airtime Plan through Employee Perk. First you need to purchase a new phone from O2. 2Once you have purchased your phone with a normal contract, you then return to O2 Open and create an account. 3Once you have an account you will need to enter your Force Code. (Download List Here) You will also need a vaild Police email address or your recently payslip or national insurance number.